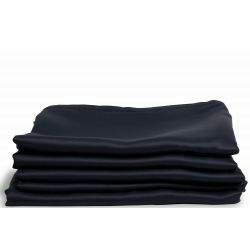 The Moondream black out lining is a discreet/subtle and efficient technical solution that will transform the curtains you love into black out curtains in an instant. This universal lining is very easily attached/installed/set up, using a Velcro-type fastening. Its well-designed width allows it to remain invisible. Moondream offers a black out lining with total light blockout: it is thus particularly useful for bedrooms to ensure that the entire family make the most of a good night's sleep/has a good sleep.